Mothers’ Day weekend sees a choice of bouquet making and treat scoffing at the lovely Artisan Bakehouse. 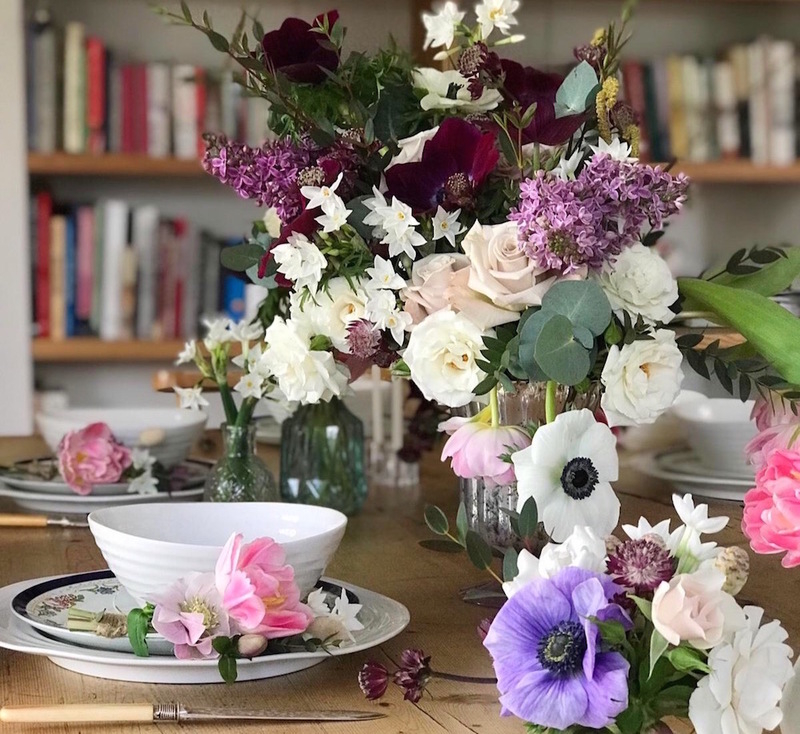 On Fri 29 March learn to gather and tie blooms with flair under the expert guidance of local florist, Sam Green, from The Crazy Daisy Company. Team with cream tea and Prosecco for £60 or with lunch for £70. 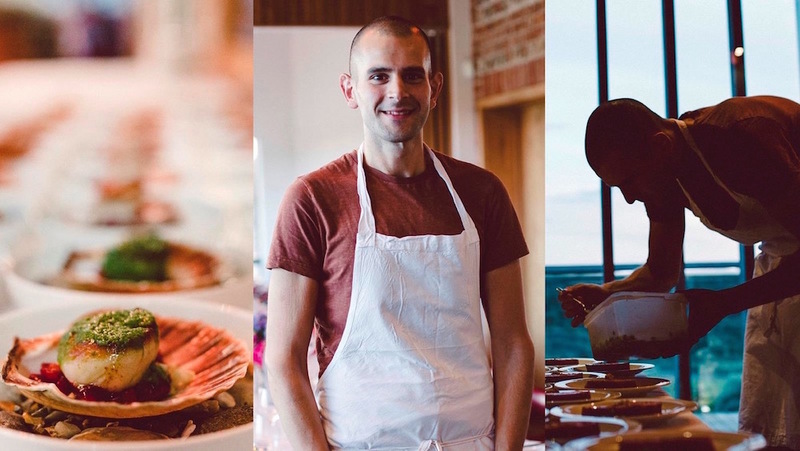 Or, on Sat 30 March, book the same workshop with a lazy brunch buffet for £75. Further ahead, nab a place (for you, or mum) on the introduction to sweet and savoury pastry making on 21 May and the chocolate masterclass from Noble & Stace on 22 May. Mmmm. Never has there been a better time to be an American comedian in the UK. 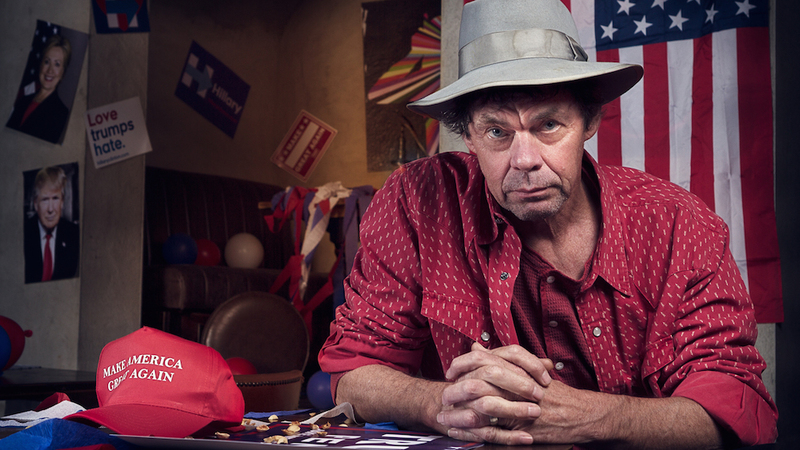 In this show QI regular and Muddy favourite Rich Hall dismantles the tenuous relationship between the two countries and dissects Trump’s America but ends up in a celebration of Americana with improvised comic ballads and foot-stomping tunes. Tickets are £18.50. (Photo by Matt Stronge). All aboard! Something different for Mothers’ Day. 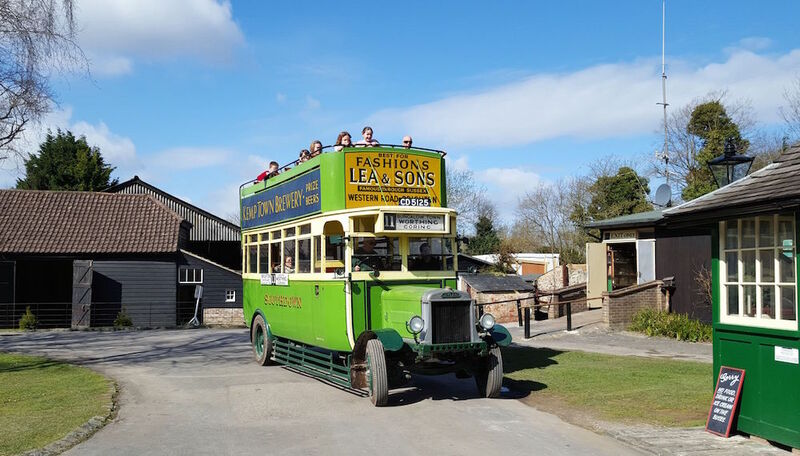 Families can enjoy a fun-packed day at this heritage museum full of vintage experiences with mum having a go at activities such as pottery, wood turning and bus conducting. 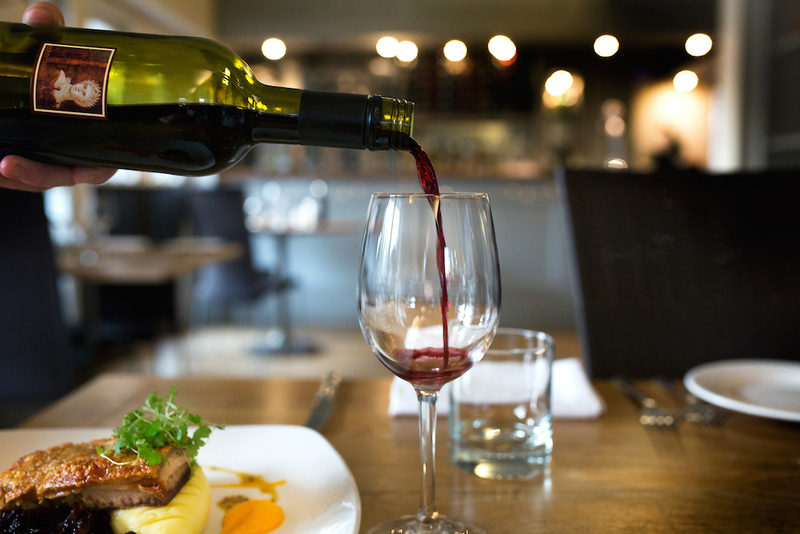 Treat mum to a castle this Mothers’ Day… well, at least a meal at one. 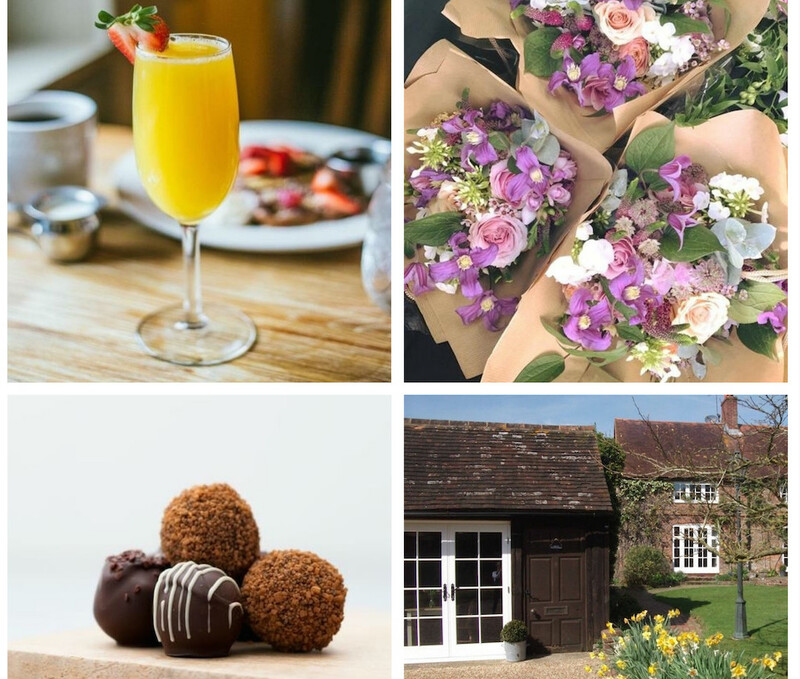 An Afternoon Tea with Prosecco for £20 on Sat 30 March and a three-course Mother’s Day lunch for £25 (£15 for children) on Sun 31 March at the treats on offer at Herstmonceux Castle. The price includes entry into the gardens and grounds. Looking ahead, an Easter bunny hunt and a tea dance are coming up in April. In Etchingham on the border of Kent and East Sussex, an atmospheric woodland awaits you for a wild feast. You’ll be welcomed with canapés and drinks on arrival before sitting down for a three seasonal courses. 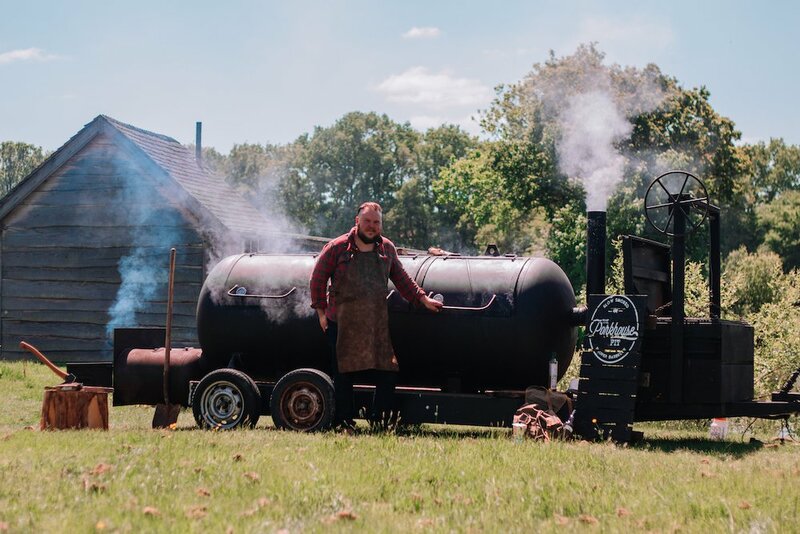 Expect smokehouse ‘low n slow’ style food with a pinch of fine dining thrown in. Tickets are £45 and it’s BYO booze. Fancy treating yourself to some cheeky time out? Book a two-night midweek break at lovely Wingrove House in Alfriston this April and receive a three-course dinner for two for free on one night of your stay. The offer is valid Sun – Thurs, from 1 – 30 April 2019 (excluding 2 April) subject to availability, so grab your diary now! AniMalcolm, The Hawth Crawley, Mon 1 April/ Theatre Royal, Brighton, Thurs 4 & Fri 5 April. 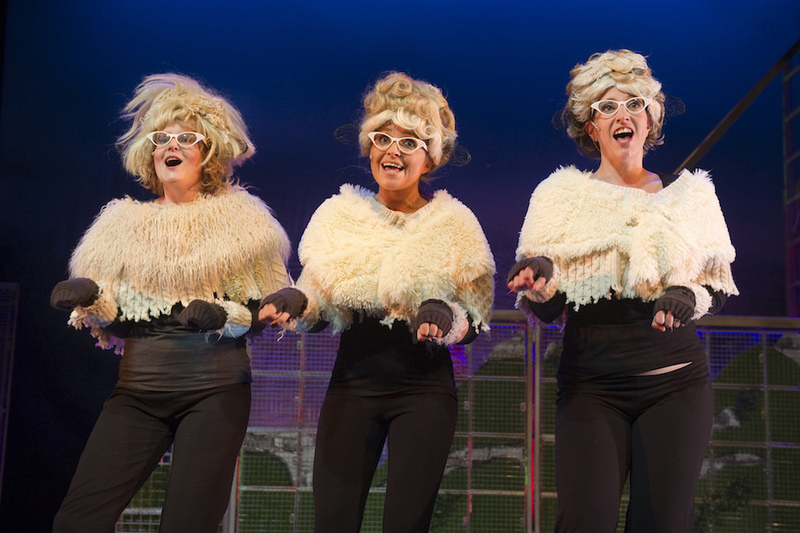 The award-winning Story Pocket Theatre brings David Baddiel’s bestselling book AniMalcolm to life in a new musical comedy combining physical performances, music, puppetry and a script full of laughs. It’s at The Hawth Crawley on Mon 1 April (£16) then The Theatre Royal, Brighton, Thurs 4 and Fri 5 April (from £14.15). Full dates here. Trading Boundaries is putting on a movie night in support of the Sambhali Trust which empowers women and children in Rajasthan. 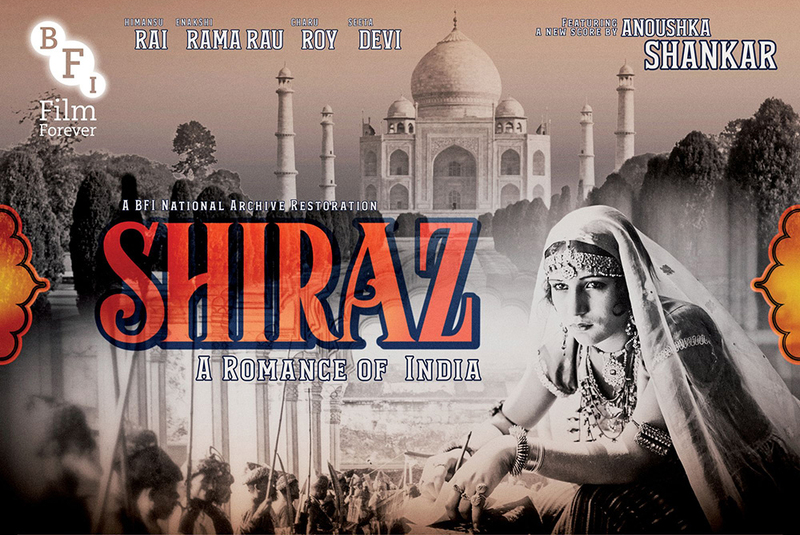 It will be screening the classic Indian film Shiraz: A romance of India, which tells the love story behind the building of the Taj Mahal. Tickets are £15 including a curry. 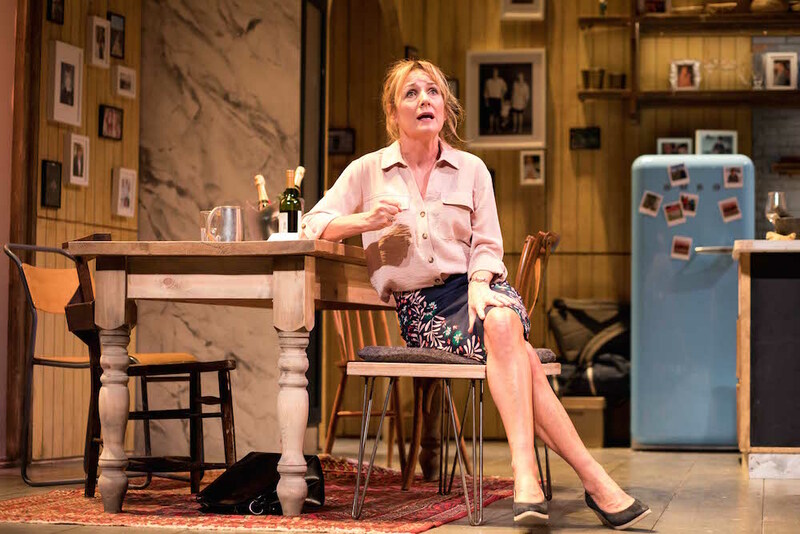 Following a hit London run, this sharp, state-of-the-nation comedy is coming to Sussex. Caroline Mortimer is a well-loved TV cook but when the camera turns off the truth comes out and when an unexpected guest disrupts a night of celebration there is more to spill than the wine. 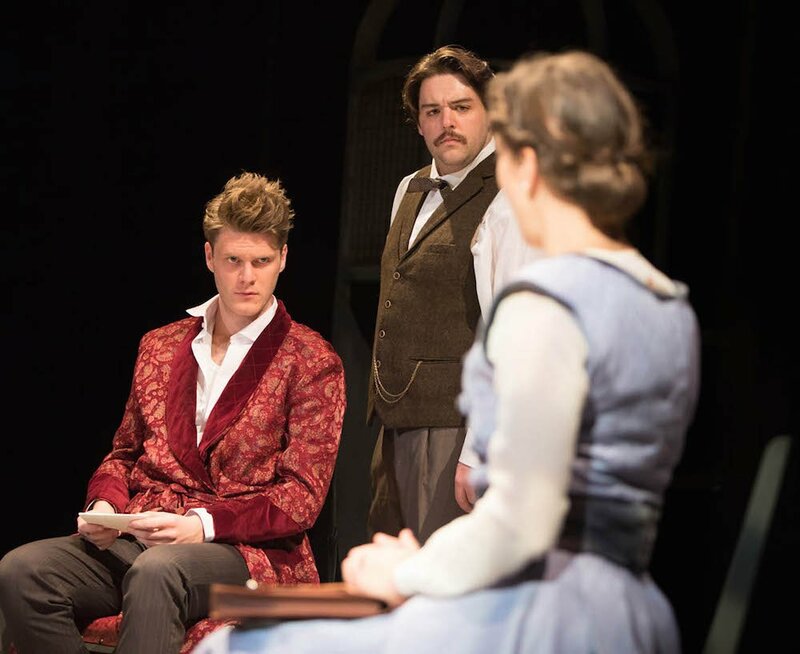 A comedy that pokes fun at modern relationships, starring Caroline Languish, Aden Gillett, and James Sutton. Tickets from 24.50. Strictly Come Dancing favourites Dianne Buswell and Amy Dowden will perform on The Hawth stage in Here Come The Girls – an all-new show in which Strictly choreographer and west end performer Patrick Helm has overseen the mix of Ballroom and Latin routines. The pair will be joined by Chloe Hewitt and there is an opportunity to meet the dancers before the show. Show £28, meet and greet an additional £30. 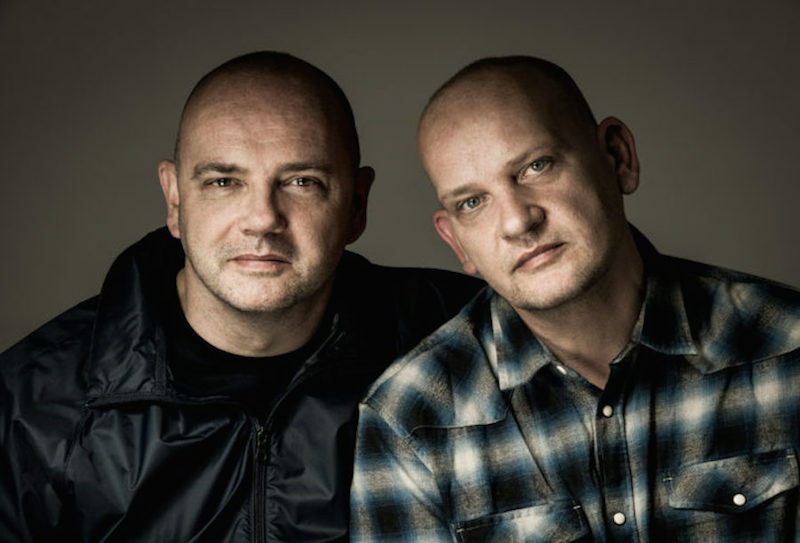 Trading Boundaries is welcoming now hair-free 80s stars Hue and Cry for a special stripped back acoustic show celebrating the 30th Anniversary of their classic album Bitter Suite. Brothers Patrick and Gregory Kane will be joined by special guests. Tickets are £25 and it’s selling fast. Need a reminder? Check out the video for Labour of Love on the link. They’re also coming up on 1 June in Shoreham. 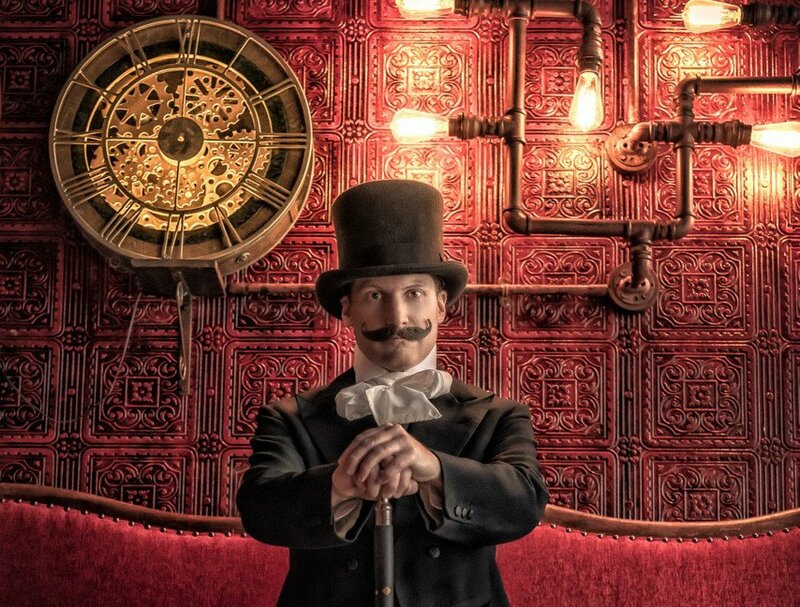 Phileas Fogg’s World of Adventures sees children and adults help the explorer make his way around the world in 80 days – with a few trials and tribulations along the way. For Easter there’s an international egg hunt thrown in and, best of all, children go half price. It’s an indoor immersive experience blending theatre and (easy) escape room and with sets brought to life by the design team behind Star Wars, Episode VII, Skyfall and The Miniaturist. Suitable for ages 7+ Standard family are from £24.50 per person. To mark the launch of a new music programme at Charleston, acclaimed pianist Melvyn Tan is performing evocative and ‘painterly’ works for piano from Debussy, Beethoven, Poulenc and Satie. Multi award-winning actress and star of both the London and New York stage, Eve Best, will be him on stage for evocative interludes of verse and prose, from Virginia Woolf to Shakespeare. Tickets are £35. Planning a wedding or party? 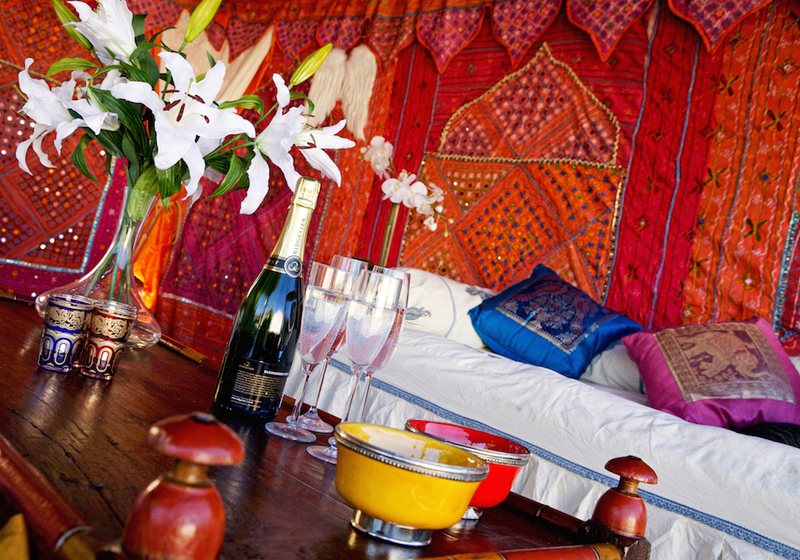 Drop in on the open afternoon at The Arabian Tent Company’s Henfield showroom to see sections of various hire marquees from Bombay Boudoir to a classic Cornish Cream erected inside a barn. 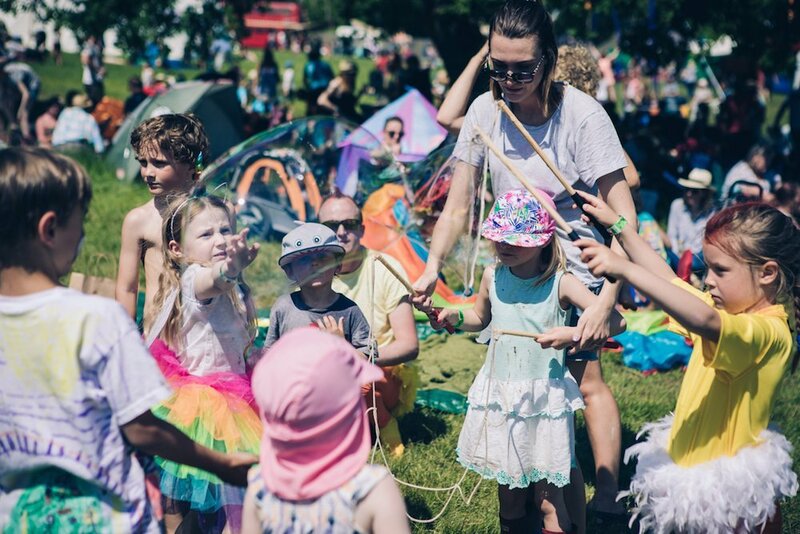 Read Muddy’s recent interview with founder and party queen Katherine Hudson here. 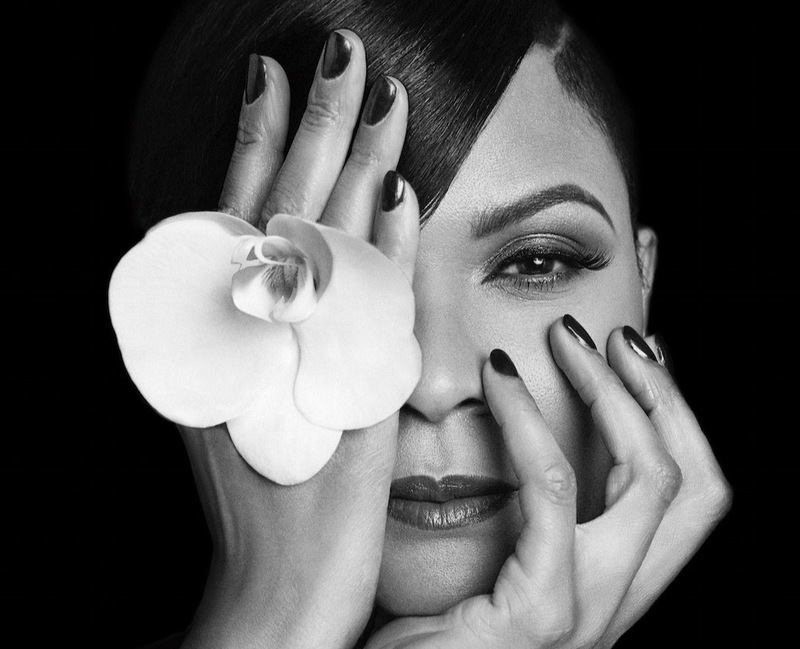 Two time BRIT Award winner Gabrielle drops into Brighton on her tour to support her first studio album in 11 years, Under My Skin. She’ll also be mixing in famous hits like Dreams and Out of Reach. There are also a few odd tickets left to see Art Garfunkel, yes, of Simon and Garfunkel fame at the Dome on Sun 7 April from £40.50, while 80s stars ABC will be performing their classic album Lexicon of Love on Mon 15 April. 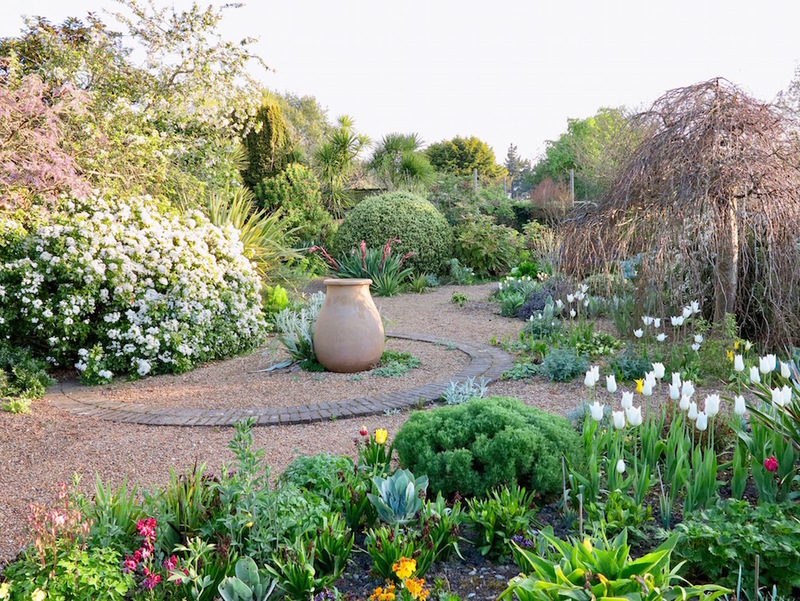 Borde Hill gardens has just reopened for Spring. Catch Camellia heritage tours (Sat 30 March and Tues 2 April) a Mothers’ Day garden tour (Sun 31 March) then, for kids, Betram’s Easter Bunny Adventure starts on 6 April and runs till April 22 with a golden egg trail and puzzles to solve (£2 in addition to entry, including a chocolate prize) plus family challenges like an egg and spoon race and and crazy golf. The adventure playground is open and there are daily Easter-themed crafts for children (£1). Come down to Fontwell Park Racecourse for an Easter day full of fun. 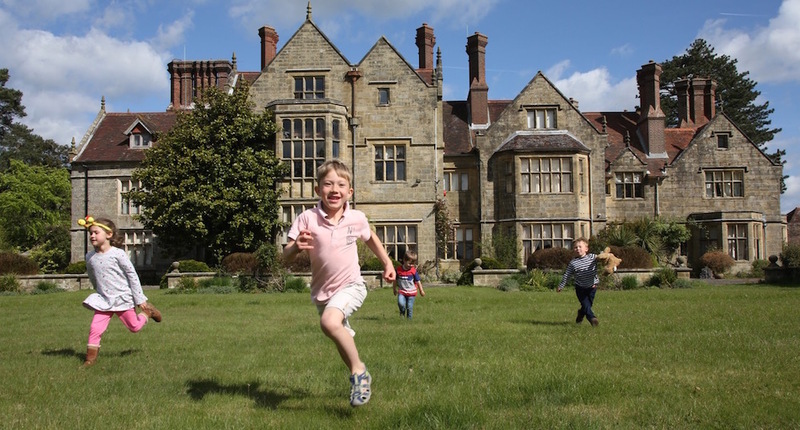 Kids get in free and will be spoilt for choice with a selection of free entertainment and activities, including an Easter Egg Hunt and you can watch seven eggselent races up close. 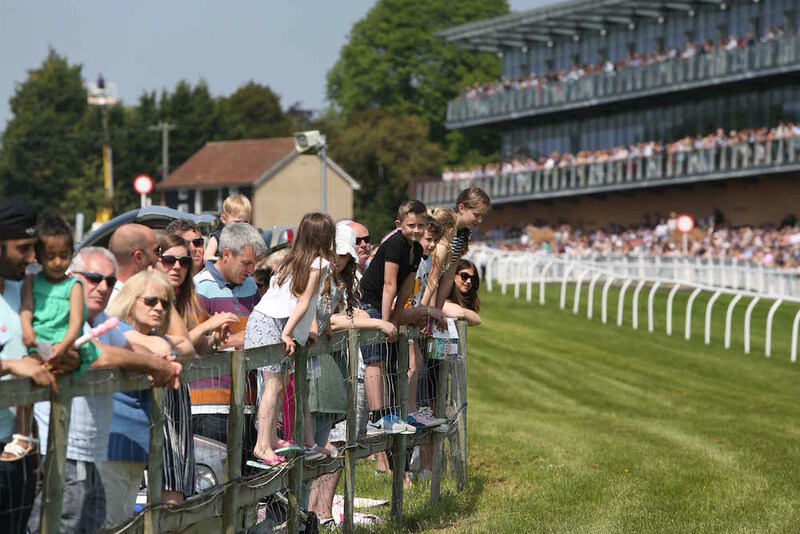 The viewing point in the middle of the track will be open with a funfair, a petting zoo with rabbits, chicks and more plus face painting throughout the day. Is this the most relaxing afternoon tea in Worthing? It’s served on vintage china in the Beauty Island Sanctuary’s private spa area with its colour changing hydrotherapy pool and herbal sauna and is proving so popular the offer has been extended into April. 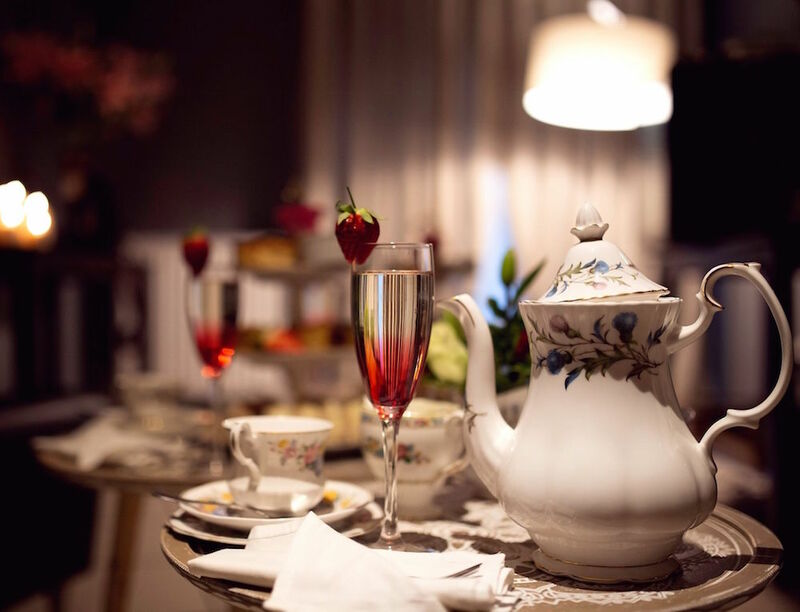 You can book exclusive use of the area for two hours with afternoon tea and a glass of Prosecco for £45 per person. It’s currently served daily 11am – 7pm. Sounds a good Mothers’ Day present. The 13th will be lucky for some who lay their hands on collectors items. 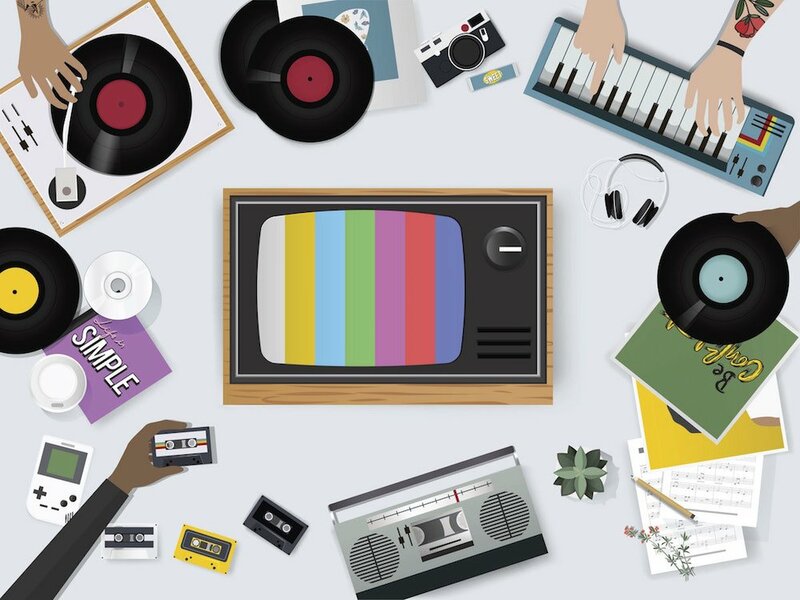 If you love music, particularly on vinyl, you’ll be wanting to hot foot it down to your nearest indie shop. There will be in-store gigs to celebrate and 500 special limited edition releases, which some queue overnight for. Stores in Brighton, Lewes and Eastbourne are due to take part. Find your nearest participating shop here. 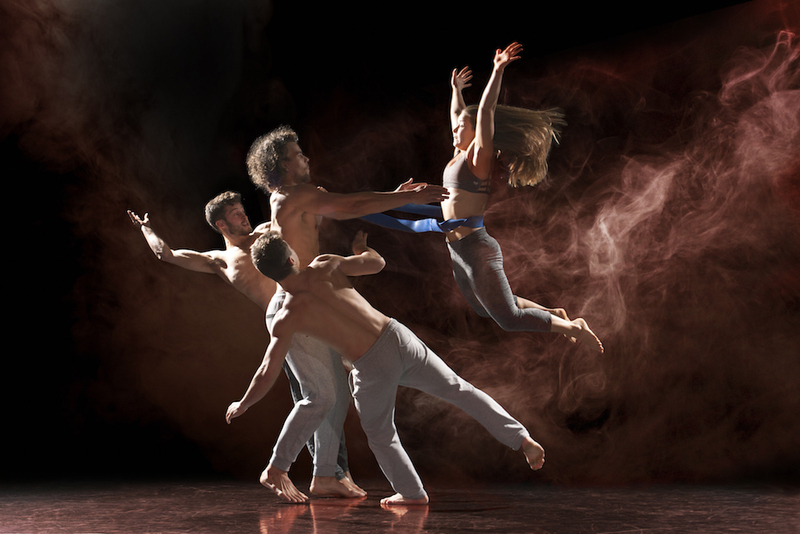 In an exciting fusion of art and science, inspired by the role of electricity in the human body, Charge is a multi-media dance and acrobatics show like you’ve never seen before. Digital projections and dancers interact seamlessly, bringing to life stories of the energy we use and manipulate. Check out the video on the link. Tickets are £21. 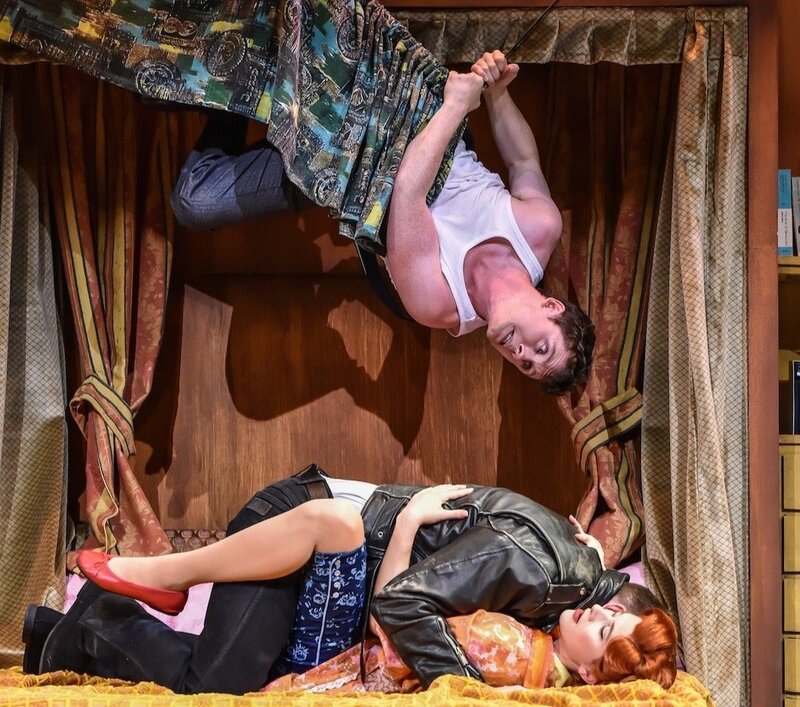 Bag yourself for some diamond entertainment as the hit West End heist farce The Comedy About a Bank Robbery comes to Sussex. It’s all jaw-achingly silly. Tickets are from £20. Read the Muddy review. Something to gift ahead as a Mothers’ day present? On Thurs 18 April use seasonal materials and some extra touches to make Easter wreaths and posies under guidance at Denmans. £15 with all tools provided. There’s a lovely tea room on site for lingering afterwards. Before then, on Sat 13 April is a smartphone photography workshop including looking at editing and photo apps. Following two critically acclaimed West End runs and a sell out UK Tour, Green Day’s rock musical American Idiot returns for the show’s 10th anniversary and the 15th anniversary of the Grammy Award winning original album. 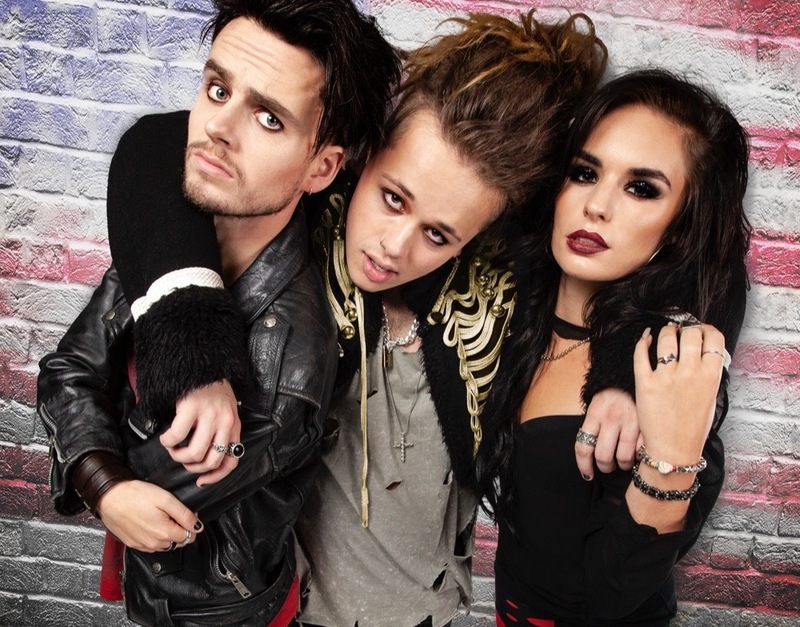 It stars Waterloo Road’s Tom Milner and X Factor finalists Luke Friend and Sam Lavery. Tickets from £14.90. Follow a different kind of Easter bunny as you join Alice down the rabbit hole in an adventure through Wonderland at The capitol, Horsham. 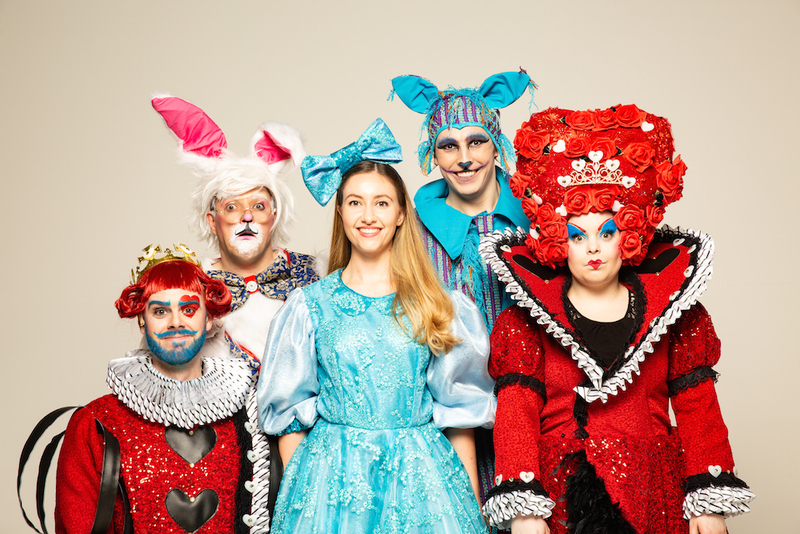 This brand-new staging of Lewis Carroll’s family favourite is a playful take on the classic tale with an energetic professional cast, catchy new songs and lots of laughs. There’s a 2pm and a 6pm show. Tickets are £16. Fancy trying to win some? 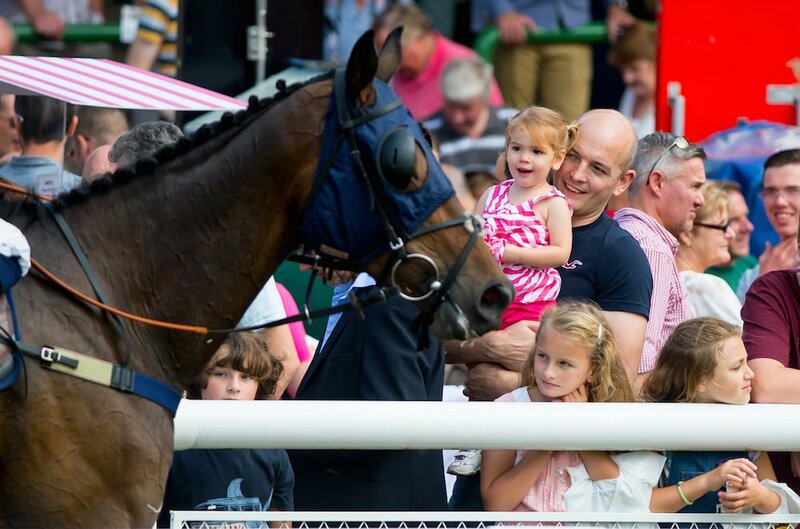 We’ve a family ticket for two adults and two children to give away in our comp. See our Facebook page. 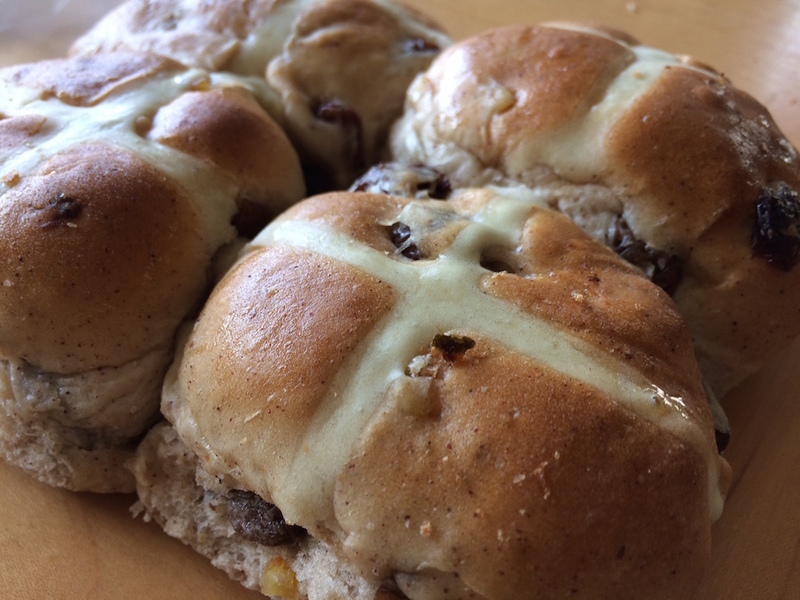 Easter’s on its way and a morning spent making Hot Cross Buns at this historic kitchen in beautiful Brunswick Square is a great way to celebrate. Make a batch of buns according to an historic recipe with some chocolate treats as well while the dough is proving. £35 plus booking fee. Brighton racecourse opens its season with a brand new Mad Hatter Raceday on Saturday 20th April. Enjoy live entertainment, Easter treats, music and a secret pop-up bar serving exclusive cocktails. There will be prizes of up to £300 for the best hat on the day, Let’s hope the sun has his on too. Book ahead to save £5 on the gate price – from £18 (£16 groups of 10+). There will be free shuttle buses from Brighton Station. The nephew of the great Paul Daniels, James Phelan, a magician himself and BBC radio regular, is bringing a night of hilarious, mind blowing magic to Horsham at the end of his sell out tour. From hypnotising volunteers to think they’re Beyoncé to inadvertently ‘destroying’ audience members’ iPhones – no-one and nothing seems safe, and nothing is quite as it seems. Tickets are £14.50. A touching and perceptive comedy about Deirdre Compton, an actress who has made a career playing luscious milkmaids, jesters and clowns while her mother plays Desdemona, Titania and Lady Macbeth. Unsurprisingly, they do not get on. See it in the historic setting of the Weald and Downland Museum on Easter Monday. Tickets £14. They’re back! Get set to nominate your favourite independent business across Sussex in categories including cafe, destination pub, photographer, family attraction, fitness instructor, best newcomer and many more when the awards open on Wed 24 April. 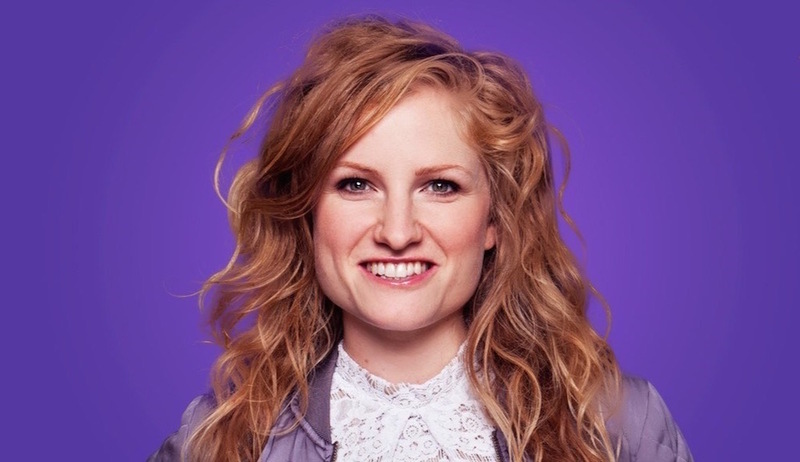 Award-winning comedian and songwriter Tamar Broadbent comes to The Capitol this month. As heard on BBC Radio 4’s The Now Show, her catchy, funny songs chart her single life from ambition to avocados, Instagram antics to dodging hipsters to the hungover ‘tube ride of shame’. Tickets are £12. It’s in the Studio so grab a ticket quick before they’re all gone. Fave 80’s crooner Paul Young is back on tour, performing his much loved album ‘No Parlez’ in celebration of 35 years (gulp) since its release. Yes, that’s the one with the hits Come Back & Stay, Love of The Common People and Marvin Gaye cover Wherever I Lay My Hat. Tickets from £20. A weekend of delicious food made by host and farmhouse owner Vicky Radtke plus some craft experiences. 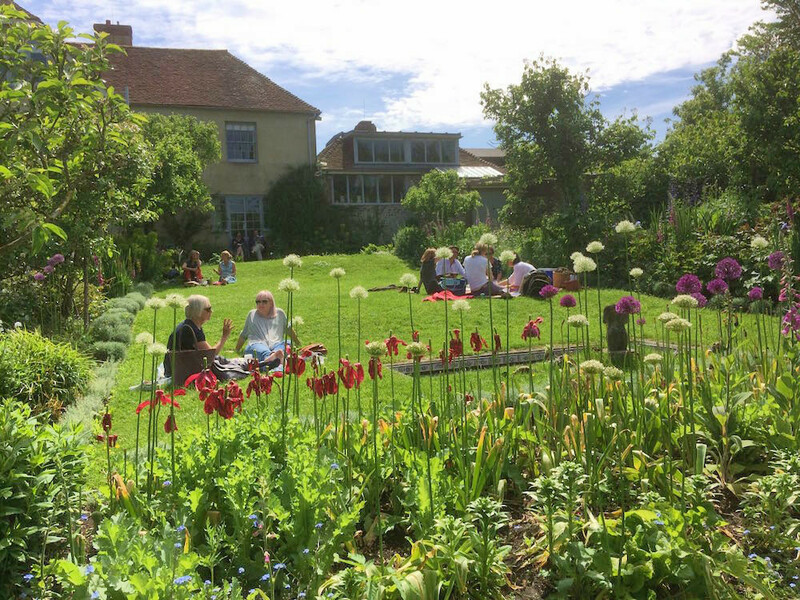 Spend a morning with The Natural Dye Works followed by a floral design workshop with Anna from Tales From, plus plenty of time to enjoy the surrounding countryside. Stays include two nights’ B&B plus dinner and a day of workshops or there is a day package with dinner. £200 for a room sleeping two or £195 for the Saturday workshops. When Mary Morstan arrives at 221B, Baker Street to request help to unravel the mystery of her missing father, Holmes and Watson enter a murky world of murder, corruption and stolen jewels. There’s even a bit of romance. It’s suitable for ages 11+ it’s a GCSE set text too this year, so handy for teens. Bluebells are usually brightening our days from early April to the end of May. 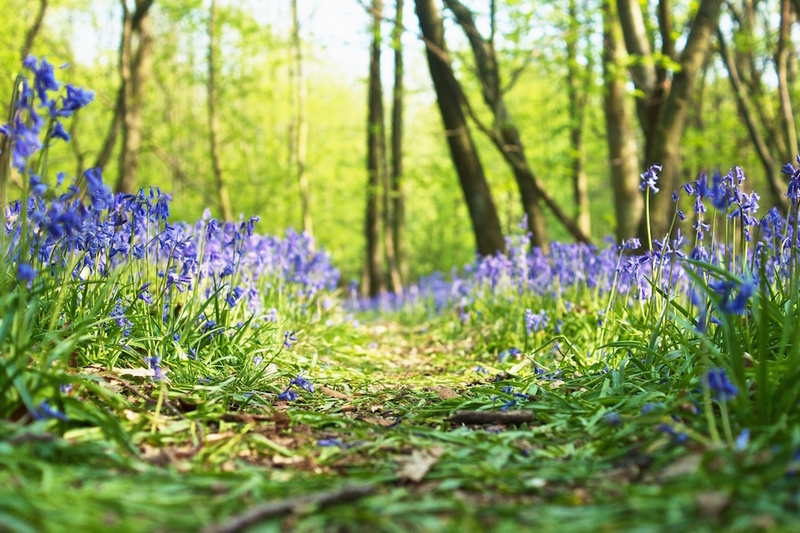 Here are some of the best bluebell walks in Sussex along with our ideas for places to eat, drink and make merry nearby. 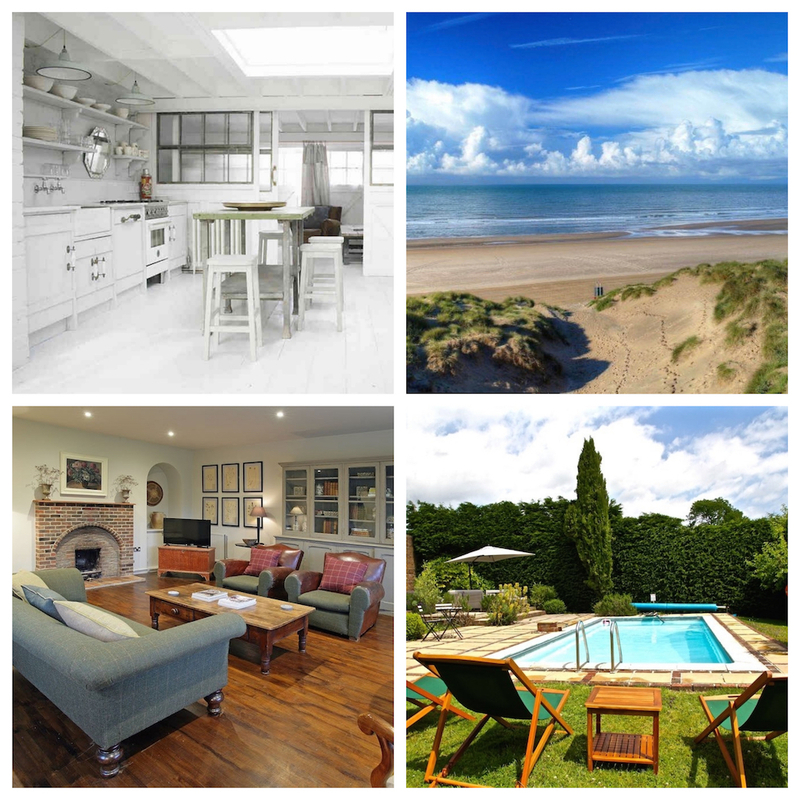 Easter’s approaching and we have just the thing to help – 30 gorgeous self-catering cottages across Sussex and the other Muddy counties! See the Muddy feature on the link below. The Barely Methodical Troupe are returning to The Old Market with their latest show, Shift. 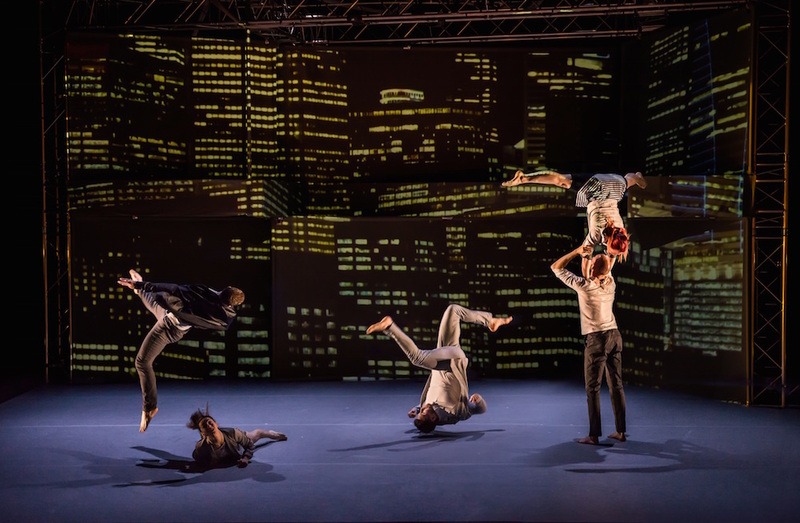 The contemporary circus outfit have been creating a storm over the last five years with their shows Bromance and Kin (Muddy saw the latter and it was great!) so this looks like a must see. Tickets are £12. 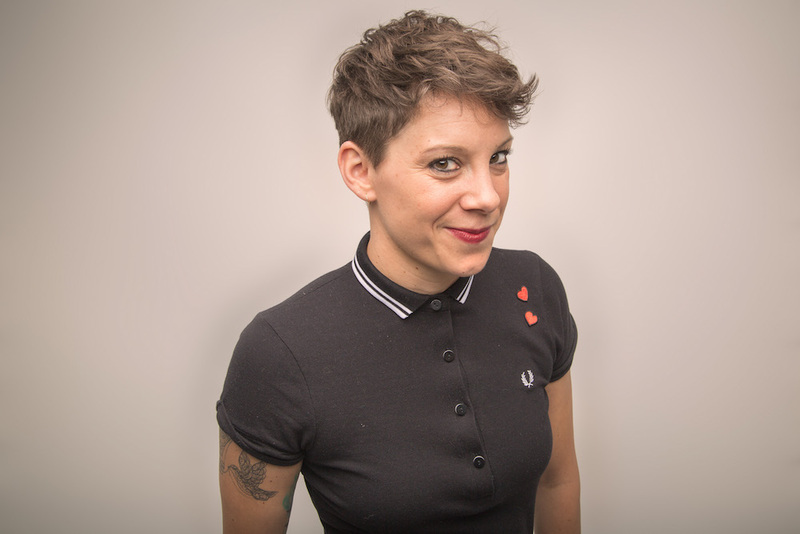 Suzi Ruffell smashed it at Edinburgh 2018 with her show Nocturnal with sell out gigs and five-star reviews. She’s impressed Muddy too with her previous work. Now on tour the show rocks up at The Hawth in Crawley on 1 May. This 17 – 27 May sees the 30th Charleston Festival. It’s been on sale since late Feb but there are still some hot tickets left, including a debate on whether literature is moral or immoral, featuring Lionel Shriver of We Need to Talk About Kevin fame; Insiders/Outsiders considering the contribution of refugees from Nazi Europe to British culture; and a talk about protest in popular culture from Tate director Maria Balshaw and Emmaline Pankhurst sculptor Hazel Reev. It’s not until June but similar events have sold out early. 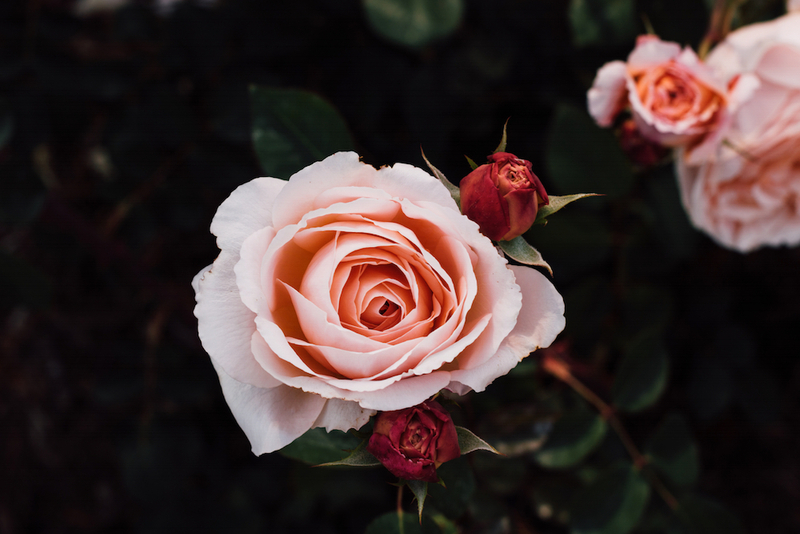 Use early roses and early summer flowers to make a stunning design with contemporary twists to take home, then finish with a two course lunch and wine. £85, also including coffee and pastries on arrival. One of my fave days of last summer was spent with a hat and a picnic watching the Globe at BOAT. 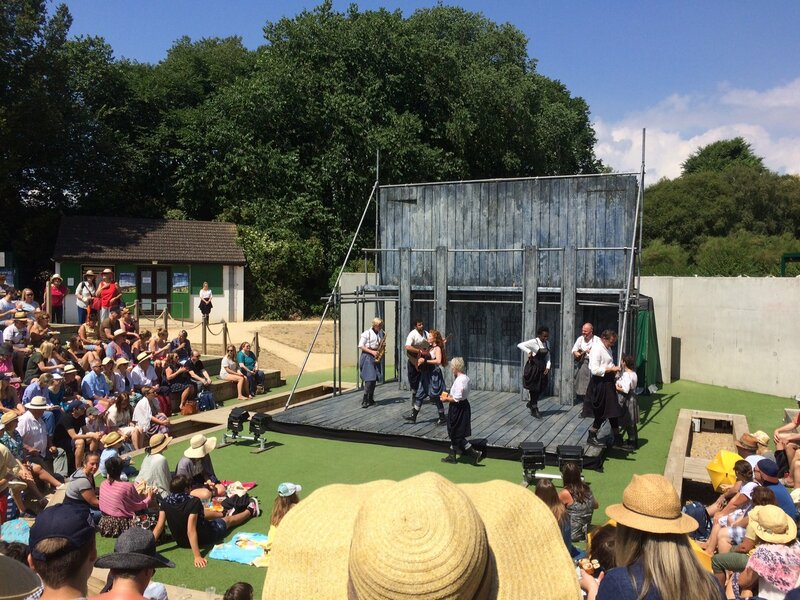 They’re back again with the same format whereby audience cheers decide which play gets performed on the day with a choice of The Comedy of Errors, Pericles and Twelfth Night this year. Tickets have just been released. Book now for 10 – 13 July. £17.50, or £45 for a family ticket. 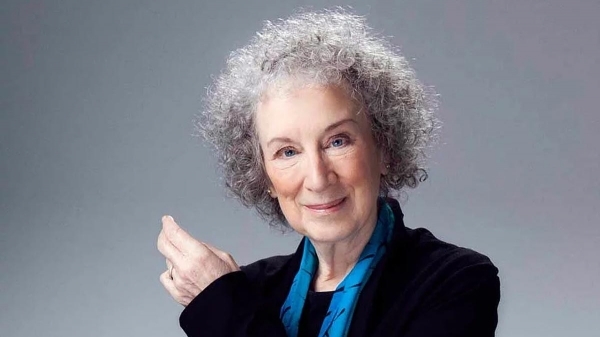 Catch The Handmaid’s Tail author Margaret Atwood being interviewed on stage this autumn – Halloween in fact – and talking about her much anticipate sequel The Testaments. Tickets are from £19.50.